We install windows from Liniar, meaning you are getting high-tech design and engineering as well as the flexibility to create an individual appearance for your property. We need your name and email to send you your estimate, your postcode is used to check we are close enough to fit your windows, if you decide to use us! We have made it as easy as possible to price up your double glazing. Simply measure each window & frame and allow our Window Wizard to do his magic! Roughly how does the window look? 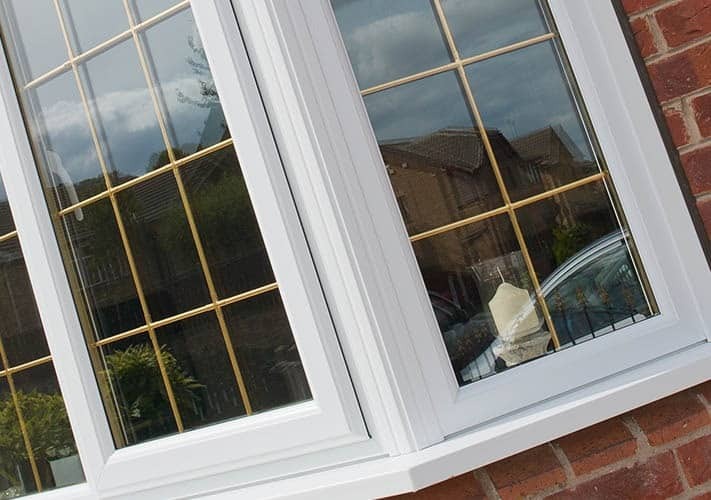 We can supply a full range of customised frame solutions so whether you are looking for traditional UPVC frames, wood appearance or modern smooth grey, we will be able to help. Windows can completely alter the look and feel of a property and so it is vital that you have a full selection of options in front of you to ensure the windows you choose complement your property perfectly. Liniar window products have been designed from scratch to be more technologically advanced than other standard uPVC windows. All Liniar products are manufactured here in the UK. Traditional windows with slim frames to let in maximum light. Fully customisable from choosing your perfect colour frames, finishes, hardware and glazing options. Offering the realism of a traditional timber window combined with modern energy and security benefits. Bi-folding windows allow you to fully open one side of a room while retaining valuable wall space for your furniture. We fit Liniar bi-folding windows which are available in a wide choice of colours and glazing options. The Liniar range of french windows incorporate high security locking with slim-line frames. Enrich the look of your bow and bay windows with a range of additional designs including leaded glass, Georgian or astragal bars, or decorative sash horns.